Let’s talk about what you really buy when you buy body cameras. In a sense, agencies who adopt this relatively new technology are not just purchasing new devices for their officers, but putting a down payment on the technological futures of their agencies. Whatever comes next, day-to-day operations will never be quite the same for an agency that has just welcomed untold terabytes' worth of new kinds of evidence into their lives. New administrative tasks will need to be performed by officers, new kinds of collaboration with prosecutors will occur and the day-to-day business of policing will certainly undergo a shift, as will the performance metrics by which effective policing is judged. For the departments, however, this period of change can be a tremendous opportunity – a chance to automate workflows, reduce paperwork and adopt an interoperable platform that will help to define an era of smarter policing. To reap the benefits of this new technology, however, agencies must be sure that they are choosing the right platform. It is not enough to adopt a cloud storage system for body camera video and audio. A full digital evidence management platform must encompass not just cameras, apps and services (like Evidence.com’s 24/7 365 customer support) but must connect these technologies to each other and to other systems like CAD/RMS databases. This connectivity will redefine the way that officers interact with devices and apps on a day-to-day basis. Anyone who presents a cloud solution primarily as a simple method for storage, rather than a tool for automation, runs the risk of diluting the value of the digital evidence revolution being brought on by the use of body cameras and other technologies. By contrast, a more robust digital evidence management platform can save time and money by integrating body camera footage into a larger, more efficient, more automated workflow. If the current rate of change in public safety technology (which has seen an influx of new innovations from body cameras to mobile apps in the last few years) is any indication, things may be very different in only a few years’ time. Your technology needs to reflect that fact by being adaptable and suited to ever-newer ways of doing business. Think of your platform as the most meaningful investment you can make in the long term success of your agency. As an example, Axon’s prediction for the next few years is that the process of doing paperwork by hand will begin to disappear from the world of law enforcement, along with many other tedious manual tasks – will the solution you opt for serve you well in this sort of environment? The Axon network is already taking specific strides to ensure that all forms of digital evidence can be seamlessly worked into automated workflows. Photos, body camera video, interview room video, CCTV footage and other forms of digital evidence are already integrated into one future-proof, cloud-hosted database where they can be appropriately tagged, notated and managed. Users’ data no longer run the risk of becoming obsolete or incompatible when new computers and new technology come along, not to mention the ease with which they can be integrated with third-party software from CAD/RMS systems to on-demand transcription services. In the same vein, the Axon network comes with automated video redaction tools, which save time and money when it comes to responding to FOIA requests – an important performance metric for a task that is likely to become more common as body-worn video proliferates. A platform that cannot offer this kind of automation or the interoperability showcased above will fail to meet an agency’s rapidly evolving case-management needs. In this regard, not all cloud solutions are created equal. Body cameras have been touted for their potential to provide new and valuable evidence in criminal proceedings, leading to increased rates of prosecution and a more efficient justice system overall. But when an agency purchases body cameras for its officers, these benefits don’t take hold automatically just because the cameras are rolling. Body camera footage itself is crucial to modern policing, but it can’t effect change on its own. With a platform that does not integrate with larger systems and fails to automate crucial tasks, sending evidence from your office to the prosecutor’s office could be a gargantuan task. It requires prosecutors to host expensive proprietary software on their own budget in order to simply store and manage open format video files that have been shared via links. In addition to the need for unwieldy infrastructure demands, prosecutors will have to contend with additional hurdles when the time comes time to edit or redact videos, all while chains of custody become increasingly difficult to maintain. This will result in a slower time to prosecution overall involving many needless hours of administrative work. Unlike other offerings, Evidence.com boasts interoperability with Evidence.com for Prosecutors, which enables prosecutors to view Evidence.com videos at no cost and with no need to invest in expensive digital infrastructure. The network provides prosecutors with all of the tools they need for viewing, redaction and transcription, all with no overhead cost. The chain of custody and all metadata will be rigorously maintained, even if agency users choose to export part of a video to a third-party tool. 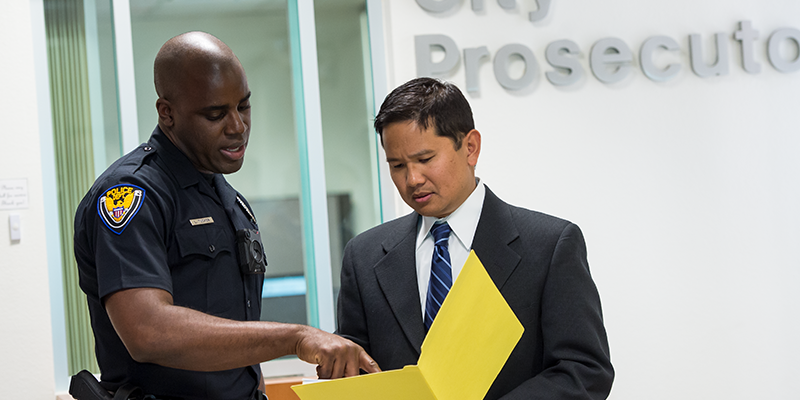 In this way, a robust platform can truly enhance collaboration and partnerships between police and prosecutors, ensuring that users get the most out of body camera footage and other forms of evidence at every step of the way. Just as body cameras by themselves can’t magically solve all of an agency’s problems, even the best platform is not a panacea. The key is to become aware of what a platform can and can’t do. 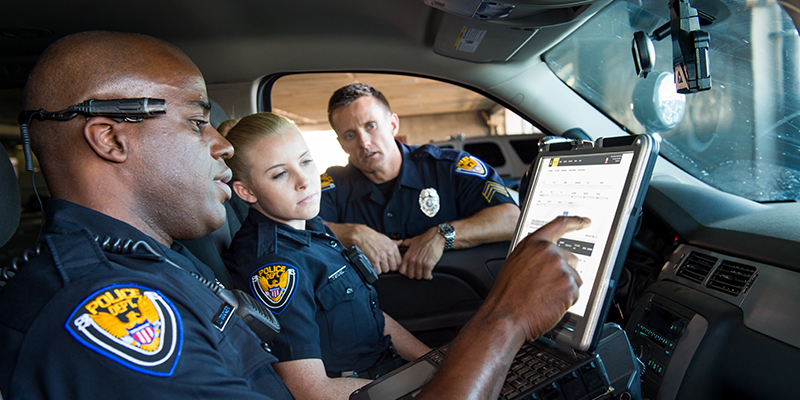 A platform like Axon’s, for example, can greatly reduce the time that officers spend behind a desk by automating a variety of tasks, from redaction to case management and beyond. The result is a much more efficient workflow overall, one which leads to money saved and smarter policing. While considering the scope of a platform, it’s also useful to consider that its full range of capabilities may not be obvious. 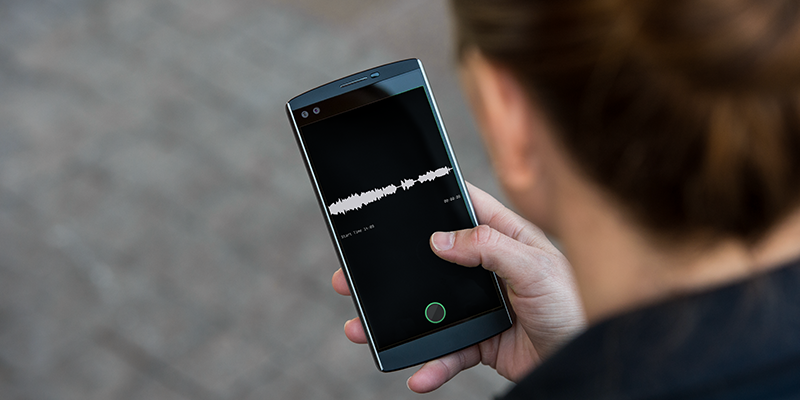 For instance, Axon’s network offers up CAD/RMS integration and a third-party on-demand audio and video transcription service in addition to providing for the storage and management of digital evidence. And of course, the network includes not just software but hardware (from body cameras to body camera mounts – objects whose durability is crucial and must not be overlooked), hardware warranties/upgrades and professional services like security monitoring and customer support. The future is hard to predict. The one thing we can be sure of is that technology will keep moving forward, and the business of policing will keep evolving in new ways. Sure, body cameras as a technology are here now and they are here to stay, but they can’t encompass the entire technological evolution that’s unfolding as we speak. Agencies making decisions about their technological futures need to bear this in mind by thinking about their long-term growth, the full breadth of their evidence life cycle and the limitations of any given piece of technology. It is crucial to look beyond simply storing digital evidence towards a future that will be defined by increased automation and more efficient workflows. To prepare for a new reality defined by constant technological evolution. In short, to choose a network, not just a camera or a storage method.